Mucho Gusto invites adventurous home chefs to explore Nuevo Cuban cuisine, a world of culinary inspiration, where modern healthy cooking is infused with the unique flavors, vibrant soul and magic of Old World Cuba. 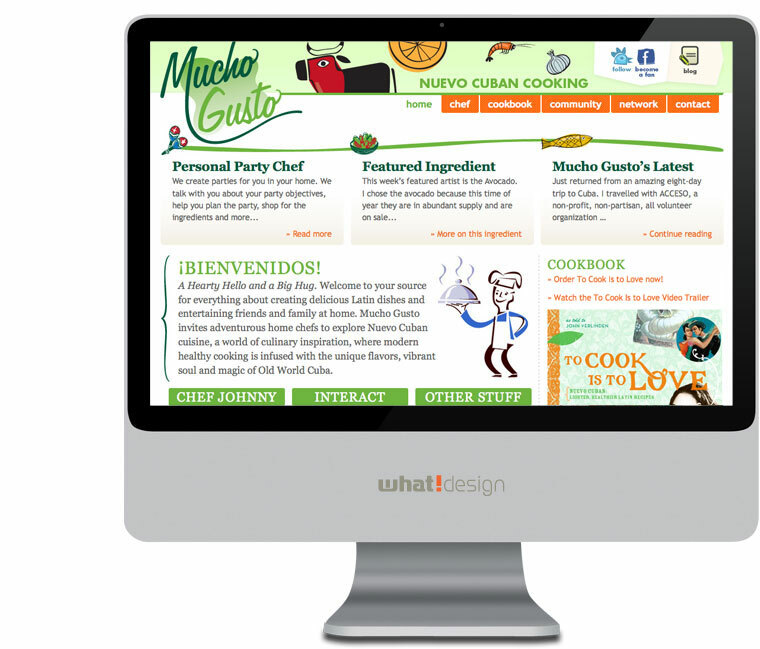 Mucho Gusto took a new direction and needed to have a fresh and clean update to their classic brand. We helped them prepare this crisp delight. Mucho Gusto online. Launch website. 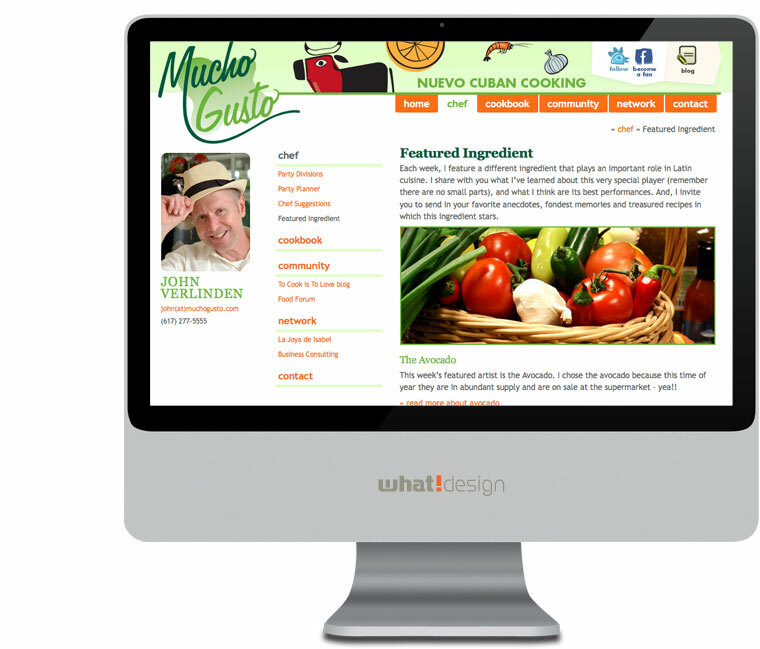 what!design worked with Mucho Gusto through the entire process of creating To Cook Is to Love, a book that is part cookbook part memoir. 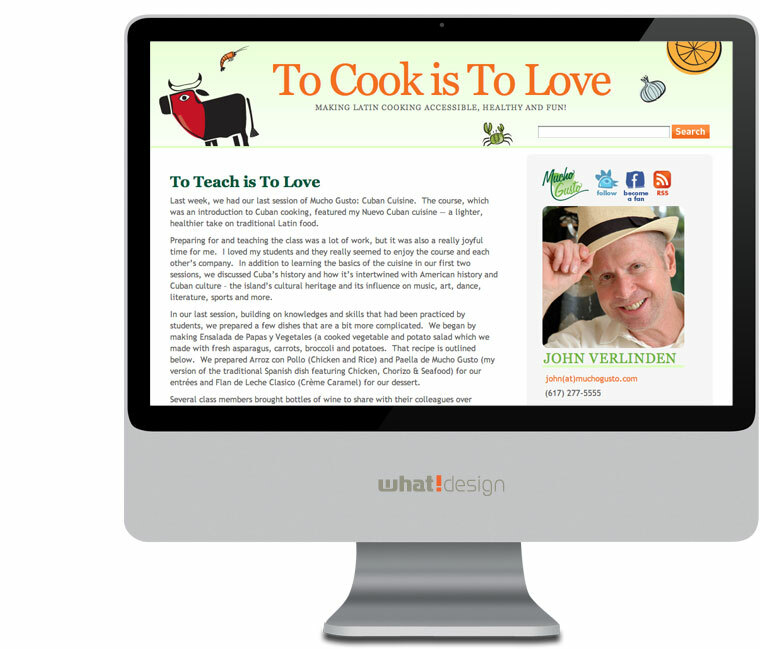 Many years in the making To Cook Is to Love is now available in both hardcover and paperback. Mucho Gusto needed labels for their custom roasted coffee. Using the updated logo we created for them we developed these fresh, bold and clean wrap-around stickers for both the whole beans and the espresso grind.